The term "body language" refers to the gestures a person's face or body gives as an aid to communication. These clues can be either intentional or unintentional. Arms crossed over the chest. This example of body language can indicate that a person is being defensive. It can also demonstrate that the individual with crossed arms disagrees with the opinions or actions of other individuals with whom they are communicating. Nail biting. Nail biting is a type of habit than can demonstrate stress, nervousness, or insecurity. Oftentimes people bite their nails without even realizing it. Hand placed on the cheek. This example of body language can indicate that a person is lost in thought, or is considering something. Sometimes when the hand is on the cheek, it is accompanied by a furrowed brow, which further demonstrates deep concentration. Tapping or drumming the fingers. Finger-tapping demonstrates that a person is growing impatient or tired of waiting. Head tilted to one side. A tilted head demonstrates that a person is listening keenly, or is interested in what is being communicated. Touching the nose. When someone touches or rubs their nose, it can signify a number of things: it can be a signal of disbelief or rejection, or it can also demonstrate that an individual is being untruthful about what they are saying. Rubbing the hands together briskly. This can show that a person's hands are cold. It is also a way of communicating that an individual is excited for something, or is waiting in anticipation. Placing the tips of the fingers together. "Steepling" of the fingers, or placing the tips of them together, is a demonstration of control and authority. This type of body language can be used by bosses or authority figures to subtly demonstrate that they are running things. Palms open, facing upward. An open palm is a sign of openness and honesty. It can be a show of submission - in older days when many people carried weapons, this was used to show that they were not holding one - or of sincerity and innocence. Some people open their palms during worship at church as a sign of submission and respect. Head in hands. Yet another example of body language that might mean a number of things, the head in hands move can demonstrate boredom, or it might show that a person is upset or ashamed and does not want to show their face. Locked ankles. 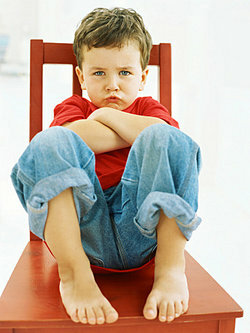 When the ankles are locked together, either while standing or seated, it can communicate nervousness or apprehension. Standing up straight, shoulders back. This position shows that a person is feeling confident of him or herself, and is often accompanied with walking at a brisk stride. Stroking of the beard or chin. When one strokes the chin, he or she is communicating deep thought. Such a motion is often used unintentionally when an individual is trying to come to a decision about a matter. Pulling of the ear. People often pull the lobes of one of their ears when they are attempting to make a decision, but remain indecisive. This motion demonstrates the inability to come to a conclusion. Each of these examples of body language clearly communicates a message even without saying a word. Now that you know about these examples, you can be on the lookout for people using body language in your every day interactions. "Examples of Body Language." YourDictionary, n.d. Web. 18 April 2019. <https://examples.yourdictionary.com/examples-of-body-language.html>. The term "body language" refers to the gestures a person’s face or body gives as an aid to communication. These clues can be either intentional or unintentional.